Spending during the holidays can get out of control. The euphoria of the season - the lights, wood burning in the fireplace, hot chocolate (hot toddies) and pine scented candles - triggers me to open my wallet and attempt to make someone else just as happy as I am. Being a seasoned online and television shopper only increases the amount of money I tend to spend in the weeks leading up to Christmas. And, let me not forget the $200 pot of seafood gumbo I get better at crafting each year. Before I realize it, hundreds of dollars are gone and my checking account balance is way lower than I want it to be. Just like weight loss goals are prime resolution material at the beginning of a new year, money saving goals need to be a top priority to improve our financial health. 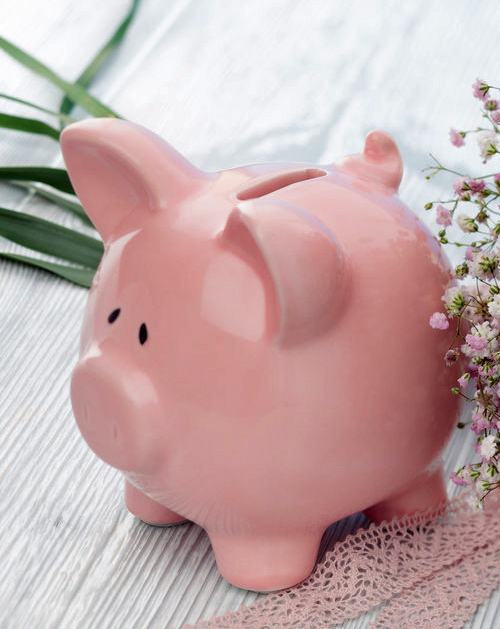 Last year, I saved about $1,300 in addition to my retirement and household savings. This year, I’m feeling a little more ambitious and I’m challenging myself to save $125 a week for 52 weeks. Now, I’ll admit that this will be difficult and require some serious budgeting and consumer restraint. However, if successful, I’ll have a whopping $6,500 in the bank… literally! This is money that I can use for whatever I want like a spa weekend or that bedroom set I've been eyeing. Yay! If I can save that amount for five years, I’ll have $32,500! Pick a save day. This will be the day, each week, that I place my money into an envelope, jar or under the mattress so that I’m not tempted to spend it. Saturday is my day. Calendar a reminder to help me save consistently. If it's not on my calendar with a Pavlovian reminder, I'm almost guaranteed to forget it. Deposit my money into my credit union monthly where it isn’t commingled with other accounts that I draw from regularly. My credit union is clear across town and I have no debit card which limits my ability to withdraw. Perfect! Use a saving goals app like 52 Weeks Money Challenge: New Year Resolution or Budget to track my progress and keep me motivated. Download a banking app. I've been using Mint for years and I like it because I can keep track of deposits and spending in multiple accounts. The various charts are easy to read and useful when trying to stick to a budget. Sell my unused and unwanted items, and stop buying things that I don't want or use. Ask people who owe me money to pay it back. I know, wishful thinking. There’s nothing like a money saving challenge to get us back on the path to financial abundance. Let’s get into the habit of putting a little cash aside to meet goals and fund our dreams. Whether it’s $125 or $25, a penny saved is a penny more you have to spend on the things you want. Who’s up for the challenge?